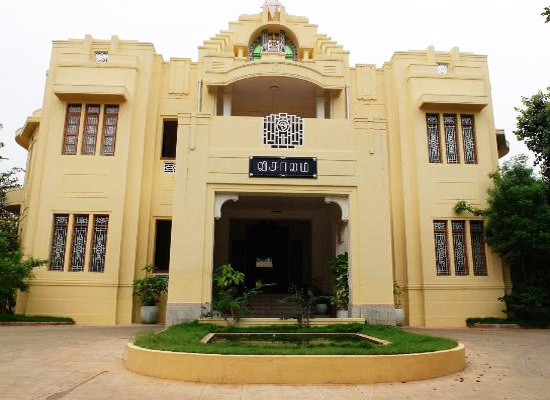 "The major concern when rebuilding Visalam, as a heritage hotel of India, was to retain the original charms and cultural heritage of this historical building. This factor is visible as soon as one enters the hotel through the front gate. Replete with age-old architectural ethos and traditional customs, the hotel offers one of the most adventurous stays in the state. 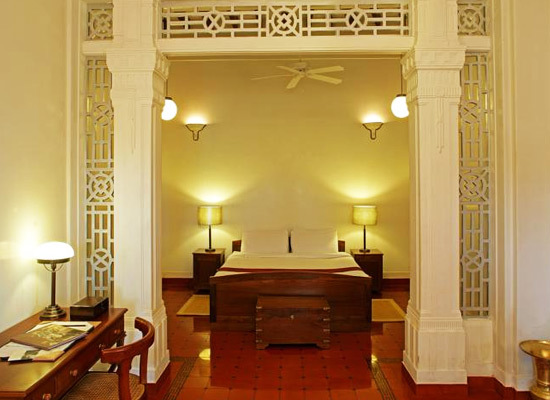 The interiors of the hotel are re-constructed using the original materials, so that one could experience the unique beauty of Visalam. With surprise at every corner and loads of activities available for the guests, a stay in this hotel is hard to forget. The house was built by K. V. A. L. M. Ramnathan Chettiar, who was a leading businessman in the region. He constructed it to be given as a wedding gift to his beautiful daughter Vishala. It was an unordinary act of love as the houses in that period were scarcely built for daughters. The house of the husband was considered to be the house for a woman during that period. Unfortunately, the house was not much used by her. 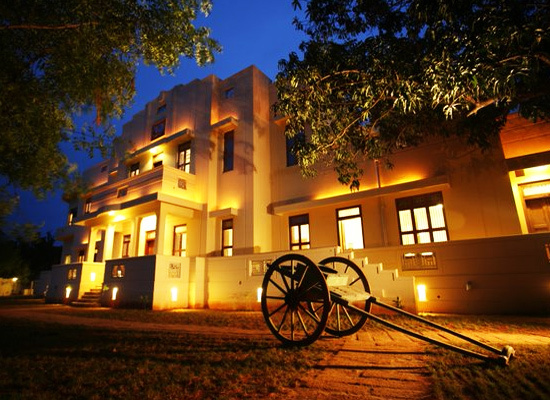 Currently, Visalam is a popular heritage hotel in Kerala. 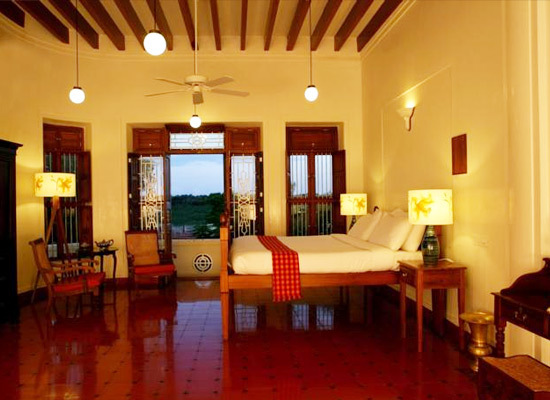 There are a total of 15 rooms in this heritage hotel in Chettinad. The rooms, just like the hotel itself, are built with the basic philosophy of minimum intervention. The gorgeous art decorations of the room are not touched at all and one is truly amazed with the interiors of the room. The walls are redone using some of the most traditional colors. 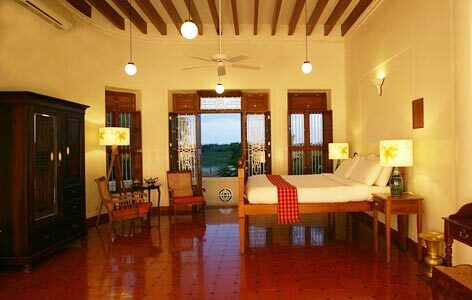 All the rooms are very spacious and also have a large bathroom facility. All the modern day comforts are available in every room. The Dining hall: In the dining hall, the guests enjoy multi-cuisines fare, with Chettinad cuisines being the special items on the menu. 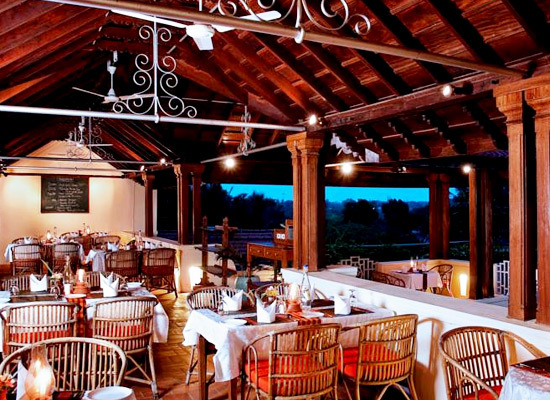 The Grill Restaurant: This is a dining restaurant where the guests can enjoy barbeque and Tandoori dishes. 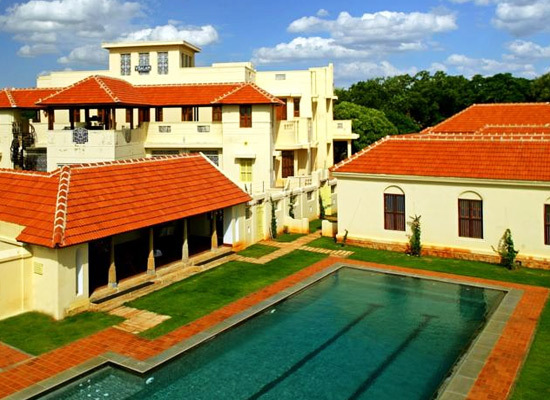 The Poolside Cafe:This is ideal for enjoying freshly prepared Chettinad snacks along with refreshing beverages. Chettinad in Tamil Nadu existed as the home city for business and financial community of Nattukottai Chettiars (Nagarathar). The city is mostly famous for its auhtnetically cooked food and cuisines. In this area, the food is preparing using exotic combinations of some of the most unusual spices. Apart from a taste of delicious food, the tourists also come here to enjoy a sight of some of the most significant heritage monuments and temples that are built in every corner of the city. Chettinad is an ideal place for them who would take a walk through history rather than spending an evening in some shady bar.